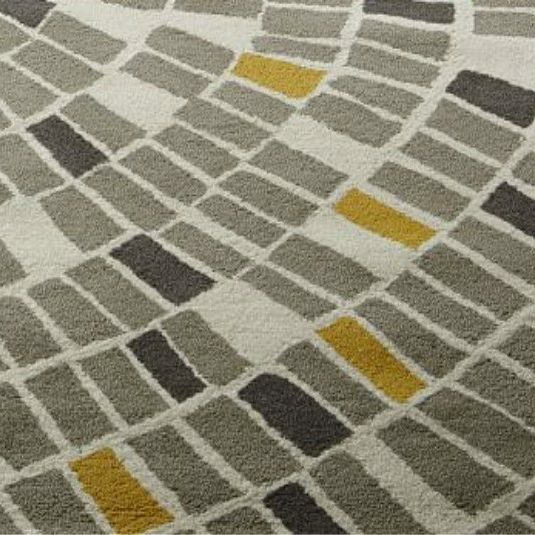 We hand tuft our rugs in different pile heights that range from: 12mm Low Pile: 16mm, Medium Pile: 22mm, High Pile: 25mm and Plush Pile: 35mm Shaggy. 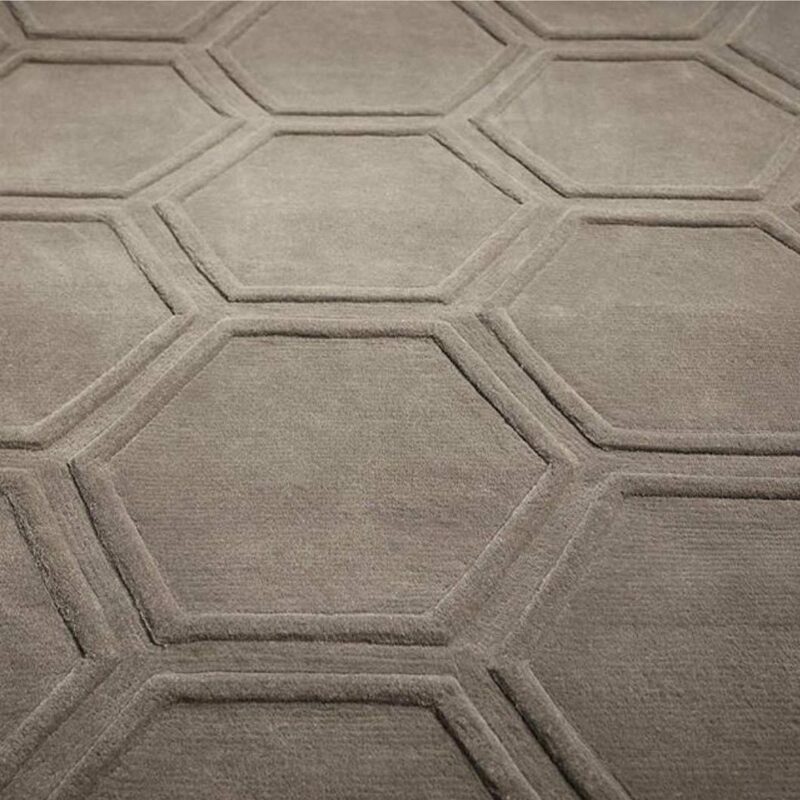 Textured can only be found in Hand-tufted rugs. This textured example has a pile height of 16mm as the base and 20mm for the lines. 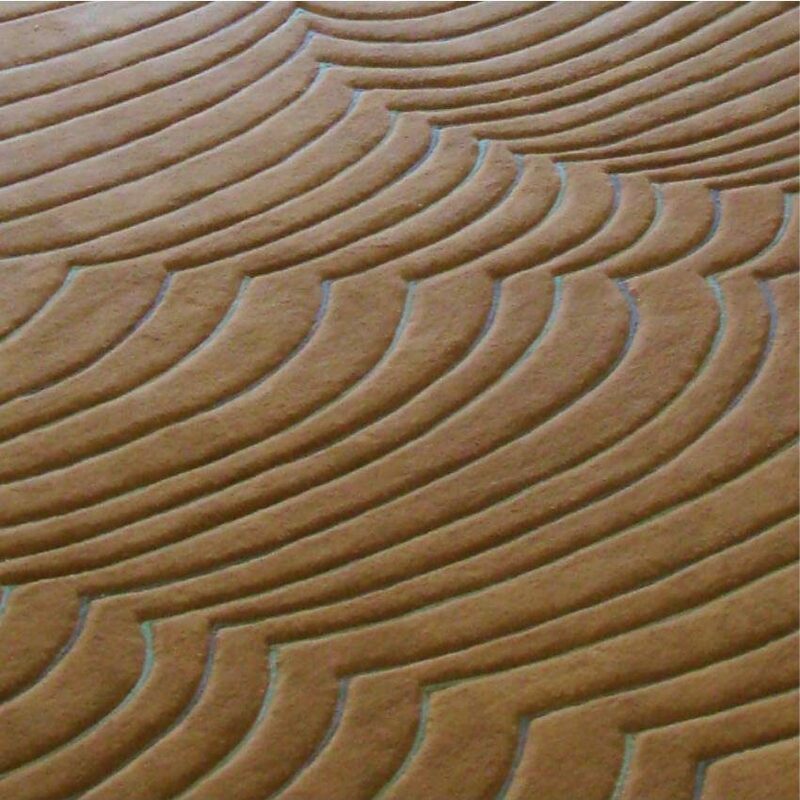 This type of texture will be found in Hand Tufted Rugs. This example has only one pile of 18mm. Only in Hand Tufted. This carved example gives the rug a third dimensional depth. 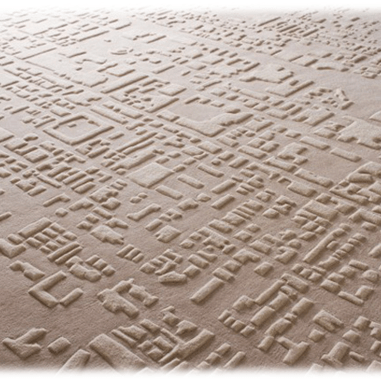 This non carved example you will find in both Hand Tufted, all depending on complexity and style. 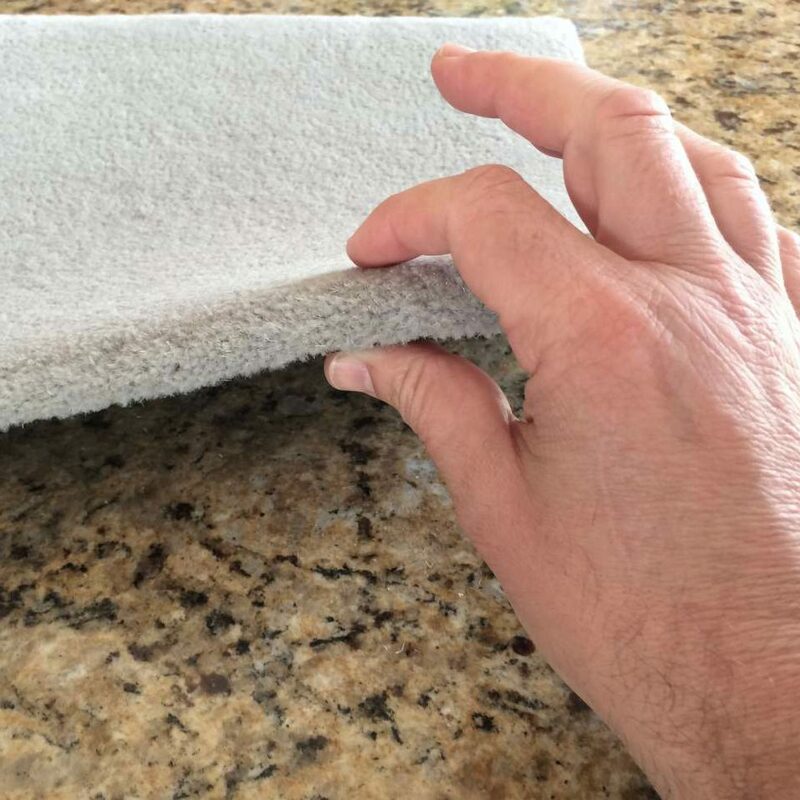 This example uses only wool which has a matte look. This example has the base in wool or a matte look to contrast with the shiny viscose. Hand Tufted can have this pile type. This example has a Cut and Loop Pile, the grey base is in Cut pile and the flower detail is in Loop.